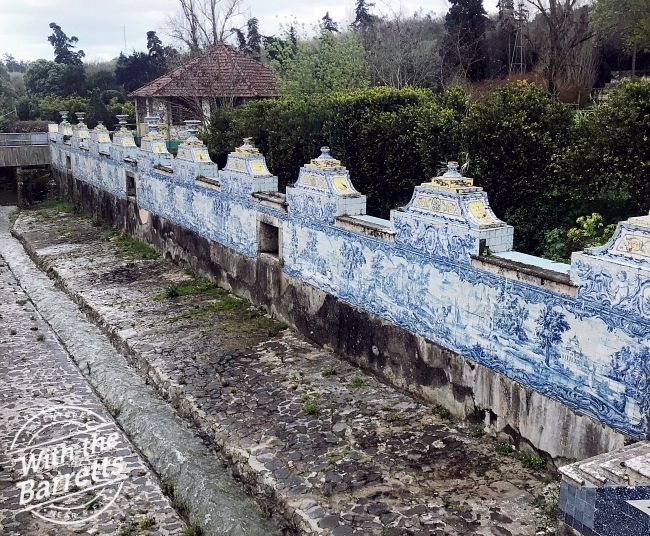 One of the first thing you notice in Portugal, whether you’re in Lisbon or the Algarve or anywhere else in this wonderful country, is the tile work. 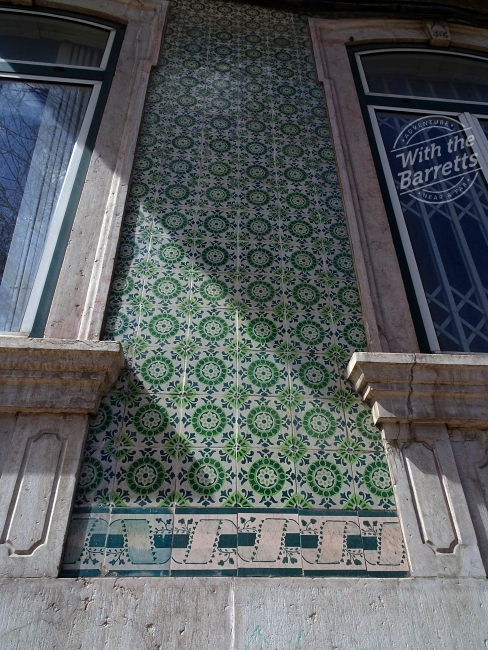 While not necessarily unique to Portugal, the extent to which the Portuguese use tile as an integral feature of their architecture is, at least in our experience, unmatched. 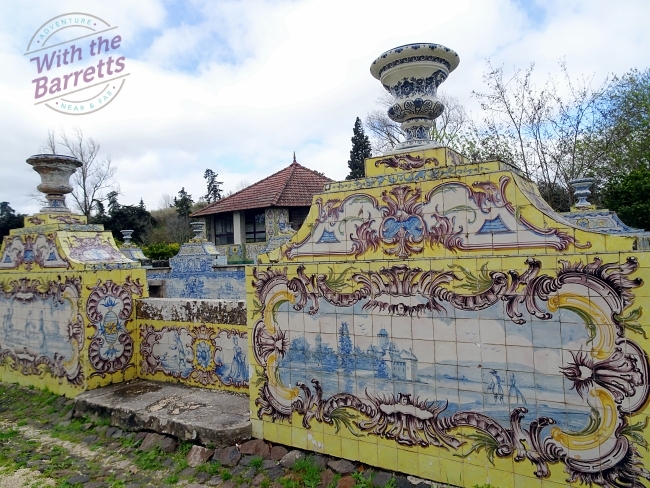 Today’s post is a photo journey along a trail of Portuguese tiles (not too many words but LOTS of pictures – the way Debra likes it!). 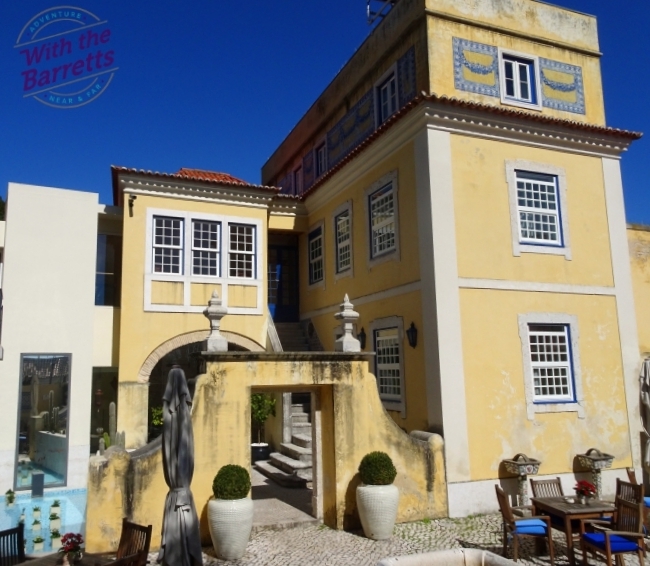 We’re so glad you’ve decided to join us! 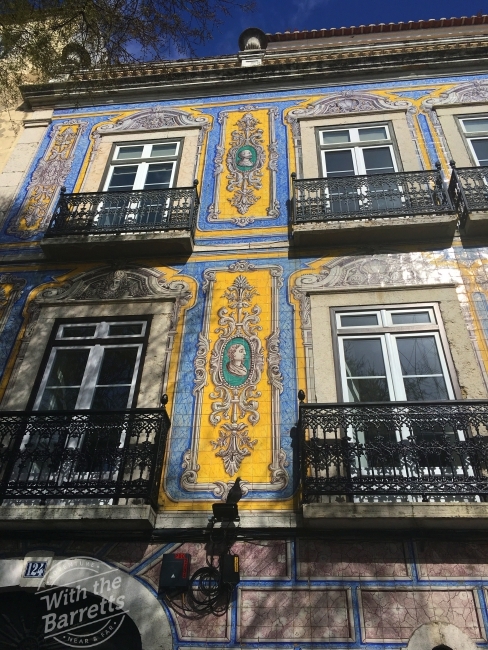 The cladding shown on this building is typical, reflecting an attitude of “Why paint when you can tile?”It’s clear that this is not a new phenomenon. 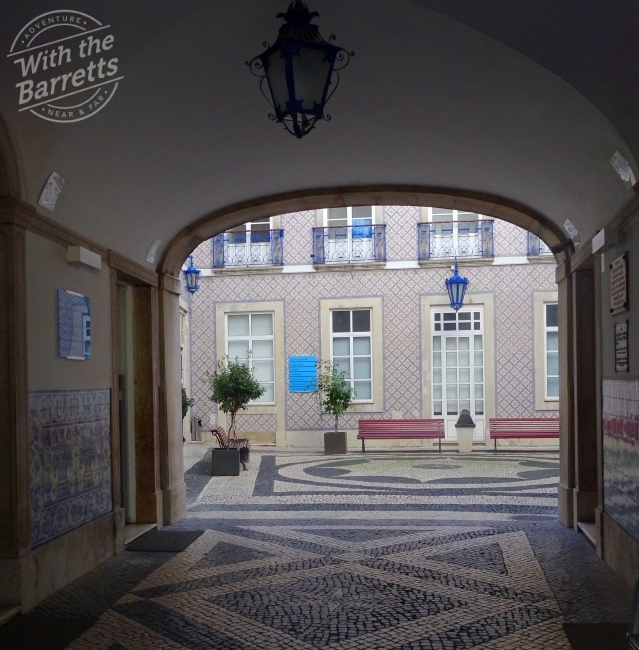 Note the tile juxtaposed to the ubiquitous Portuguese black-and-white cobbles. 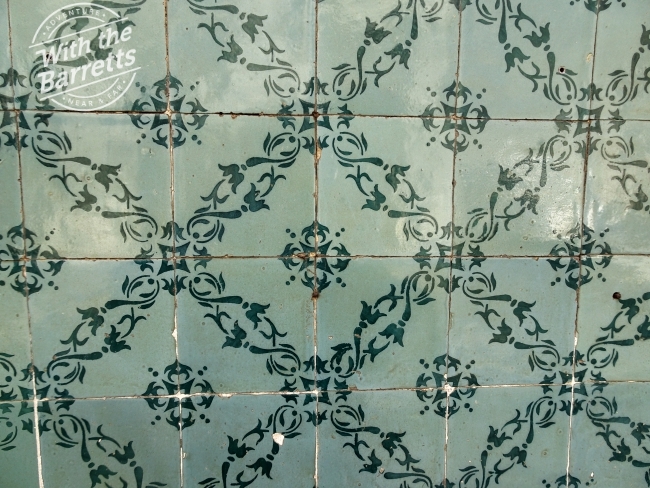 it’s also clear that the preferred repair is also tile, even if the match isn’t exact. Sometimes, the effect of aging can actually enhance the artistic appeal (at least, in my opinion). 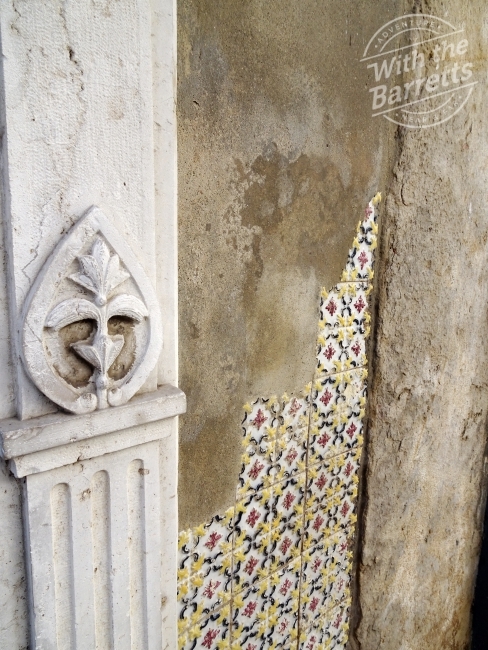 Tiling, rather than painting is everywhere- and certainly not reserved for higher-rent buildings. 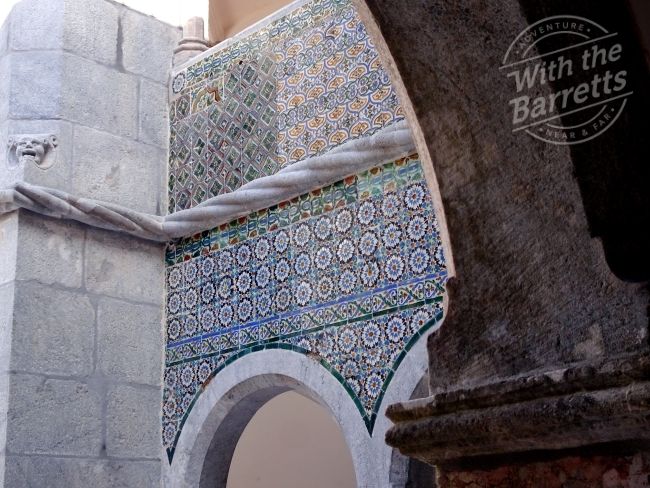 The effect in a courtyard can be quite elegant. 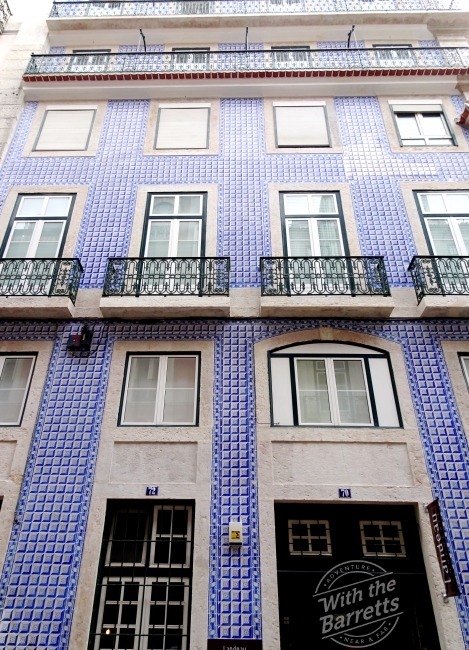 Even if the entire building is not clad with tile, the Portuguese preference for tile as at least some part of the exterior surface is unmistakable. 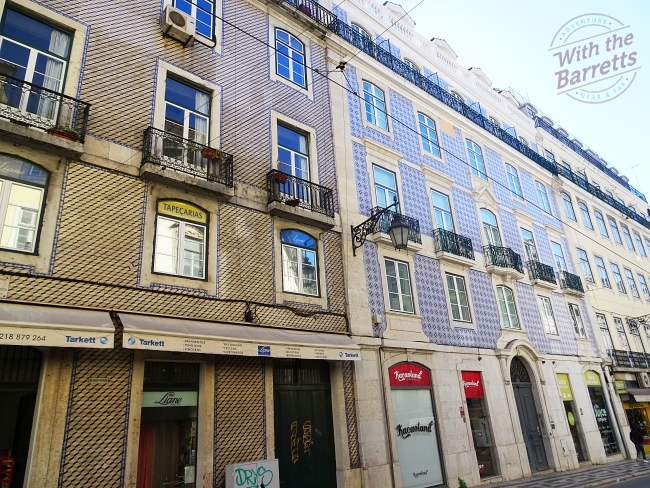 The next picture is a typical street scene in Lisbon. 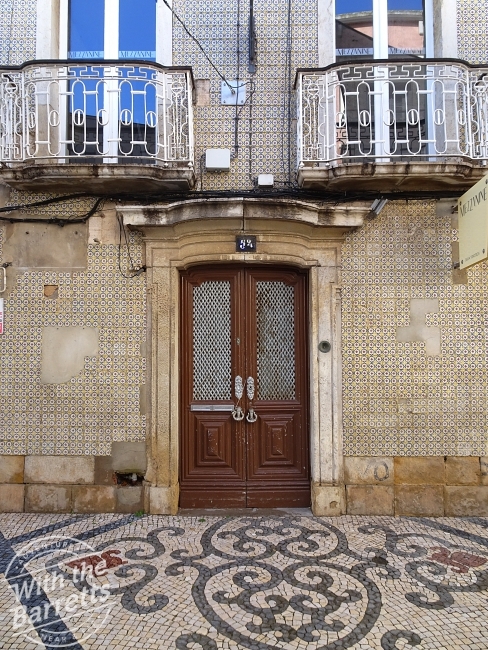 Note the tile work on the buildings at the intersection. 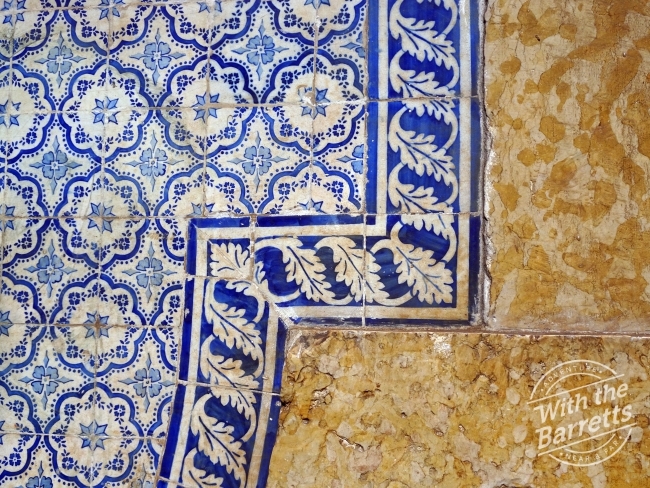 The presence of other decorative elements doesn’t diminish the use of tile. 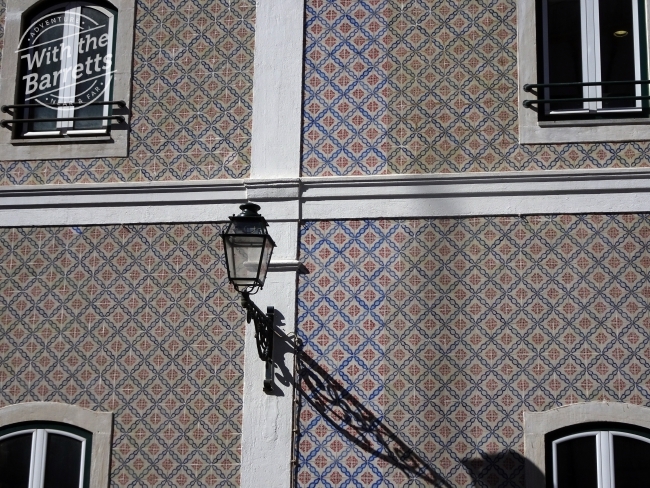 The next two pictures show differing effects of sunlight and water on tile cladding. 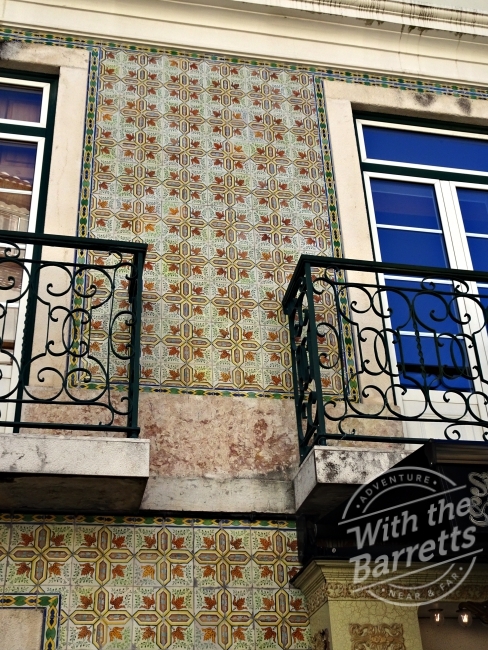 The Portuguese use tile on all exterior surfaces, including entryways and alcoves. 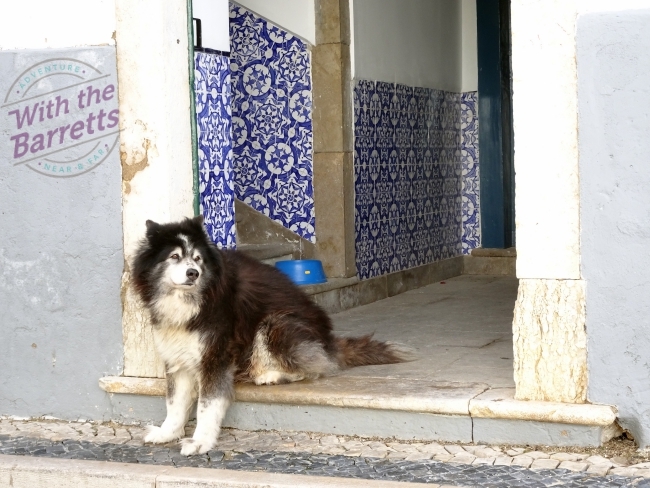 The handsome fellow in the next picture compliments the tile work in the entryway he’s guarding quite well. 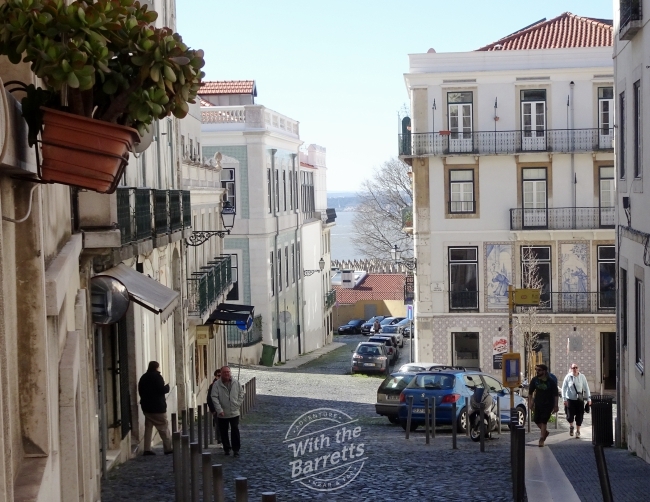 Lisbon is the birthplace of St. Anthony (the patron saint of lost things). 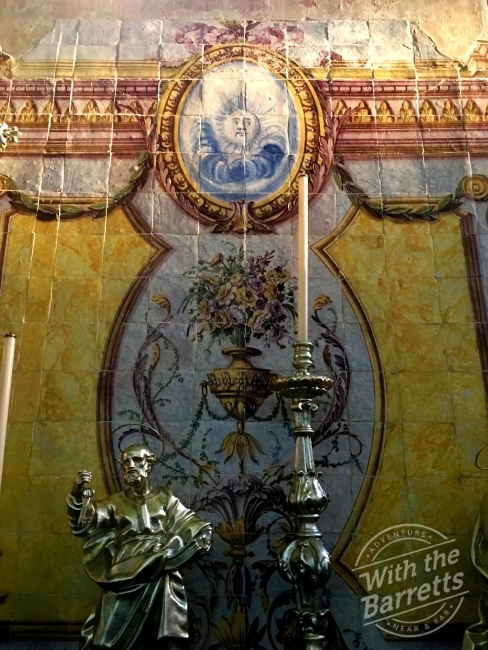 This lovely wall is behind the altar shrine commemorating his birth. 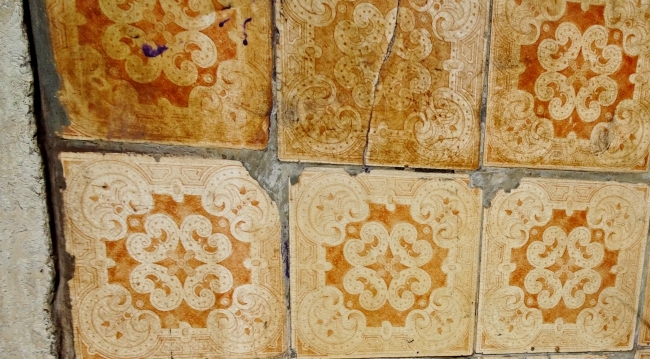 And these tiles adorn a ceiling in one of the palaces we visited; I apologize that I didn’t note which one. 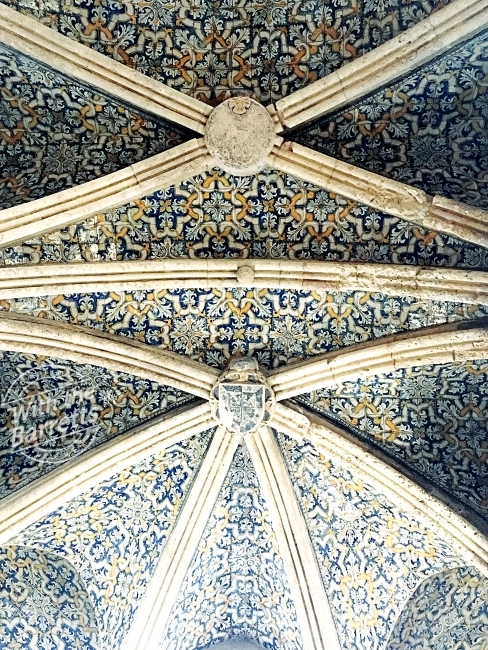 But the work is lovely, don’t you agree? 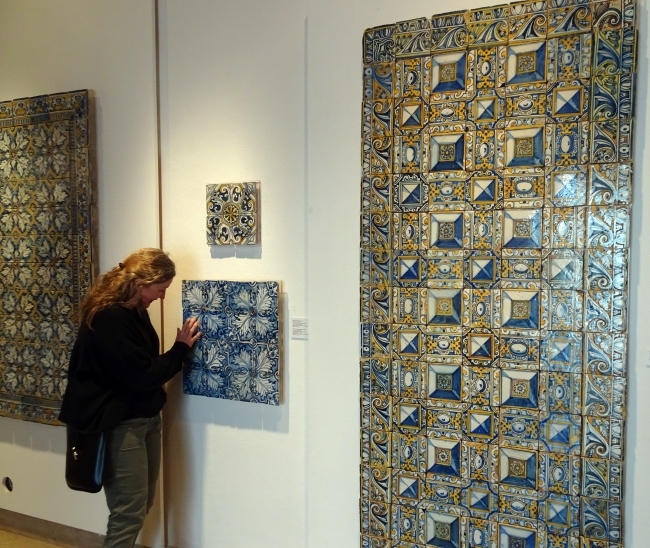 Lisbon has a tile museum that is well worth the time and effort. Debra loved that she got to touch! 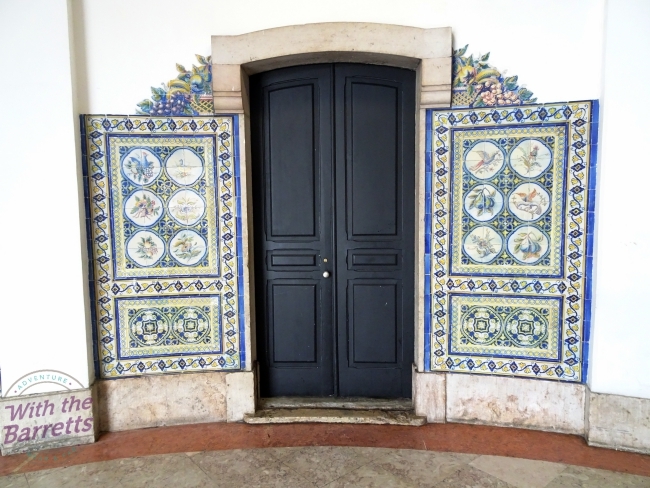 This doorway was not at the tile museum, but I thought it was museum-quality work. 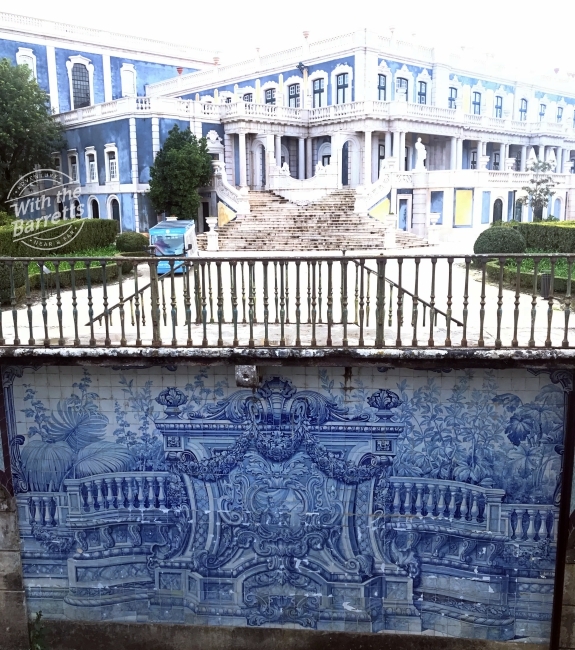 And the juxtaposition of the spectacular colors in the tile trompe l’oeil with the concrete building structure was striking. 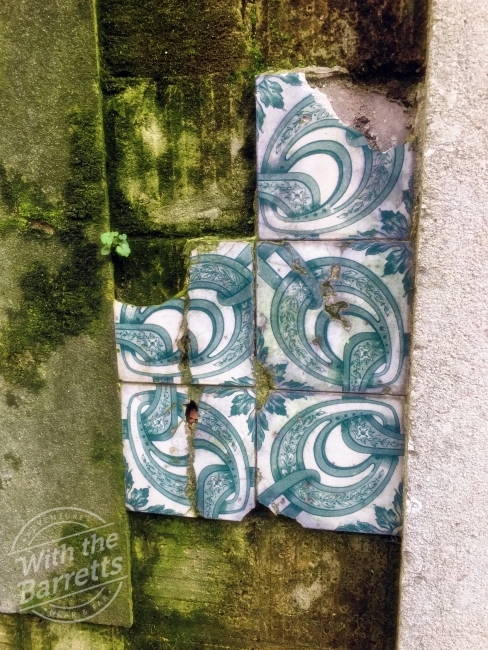 The next picture shows a small section of tile on a wall near an archeological dig in downtown Lisbon. I don’t recall seeing anything like it any where else. 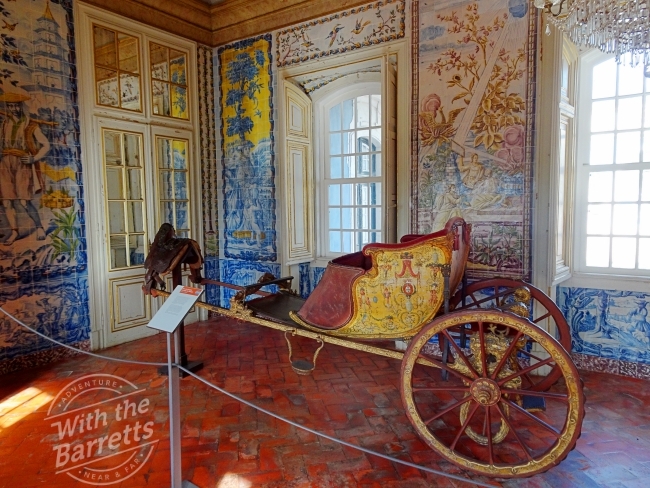 Next, we travel to two palaces outside Lisbon. 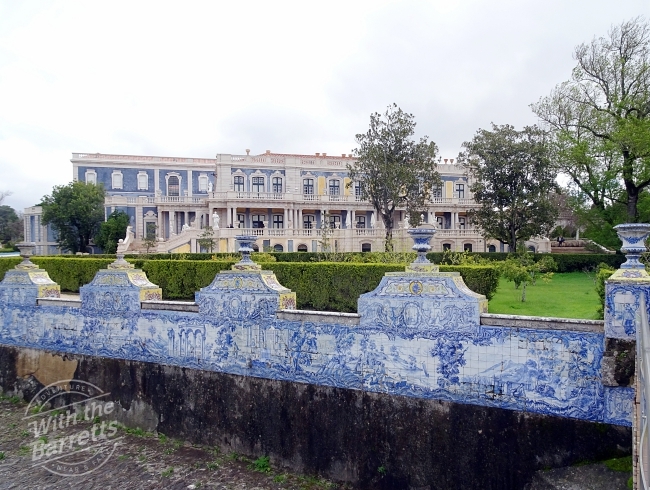 The first, the Palace of Queluz, sits roughly 16 kilometers from both Lisbon and Sintra. 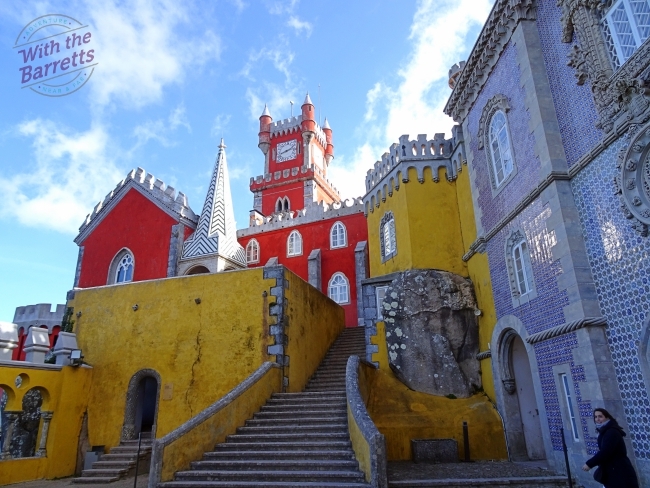 The second, Pena Palace, is in Sintra. Both are spectacular in completely different ways. 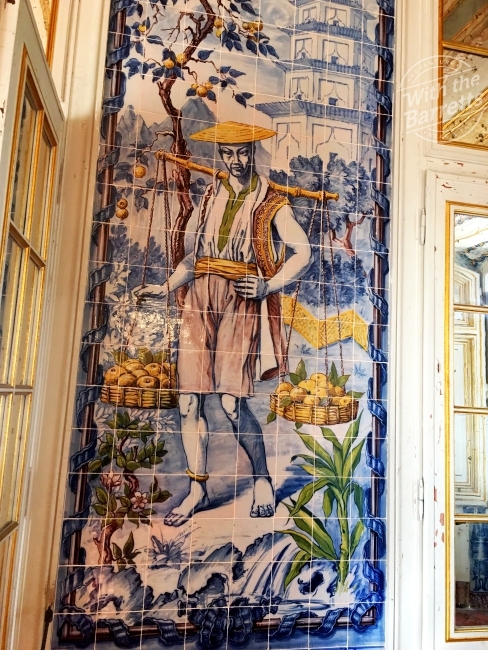 The thing that they have in common is the extravagant use of tile – again, in completely different ways. 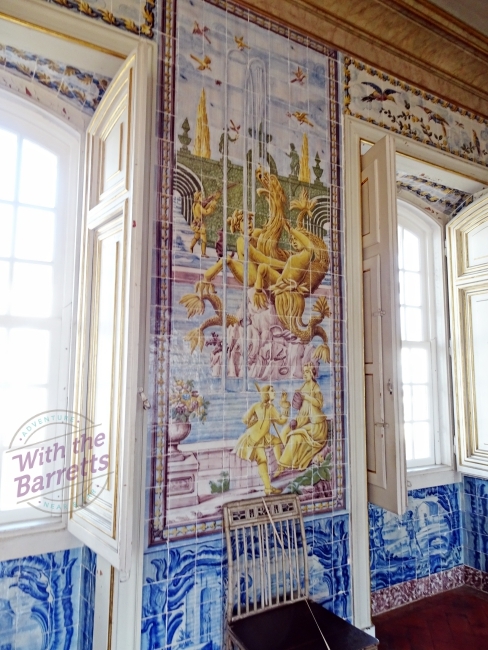 We were a bit in awe of the workmanship of the tile panels at Queluz. Until we went outside. Then, we were simply stunned. Just an outbuilding beside the creek. 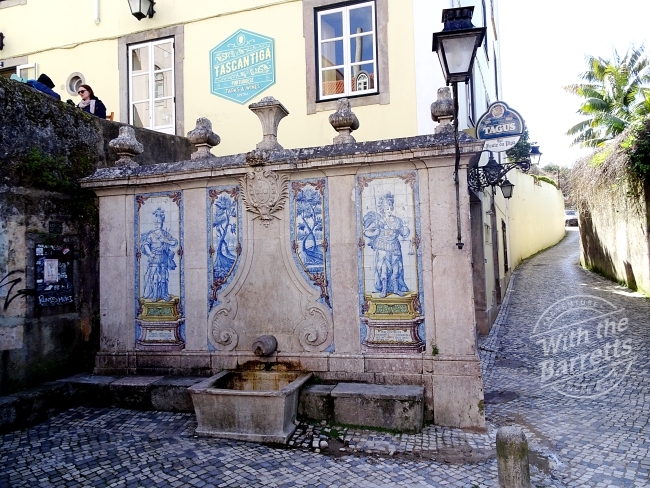 before heading up the hill to Pena Palace. 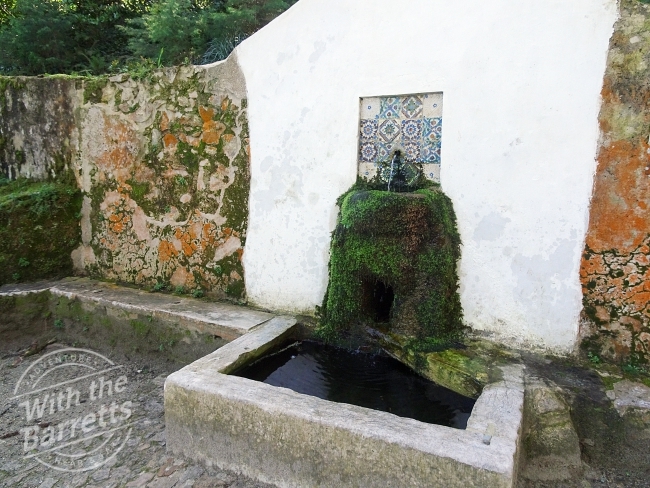 On the walk, we see that tile accents on fountains take other shapes. 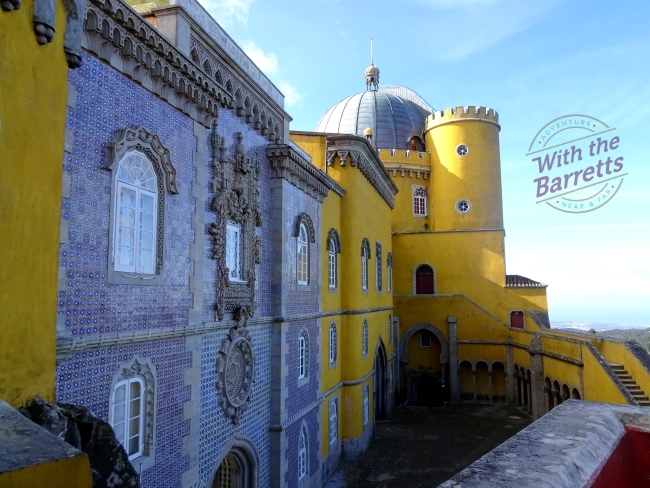 Here are a couple more shots of Pena Palace, just to whet your appetite for a full tour. 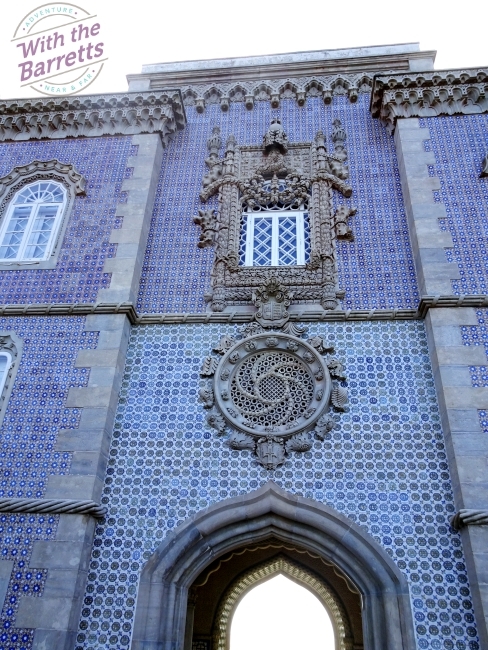 Please note the spectacular tile work. 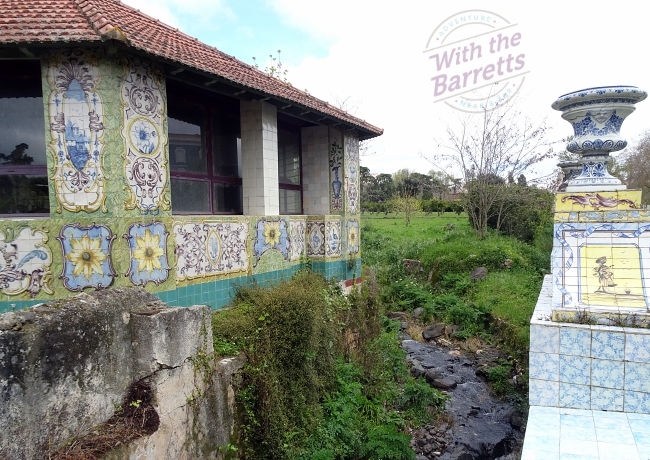 We’ve come to the end of our photo journey along a trail of Portuguese tiles. I hope that you’ve enjoyed the trip. Please share with loved ones and neighbors, friends and family. We love the company! 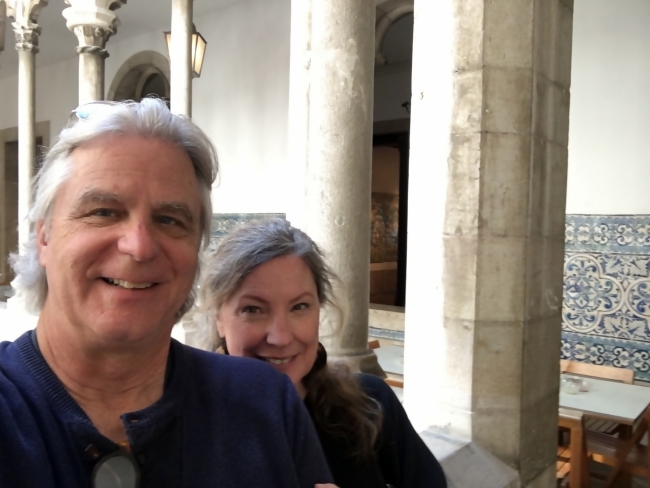 Until the next sojourn With the Barretts, be well but push your limits. 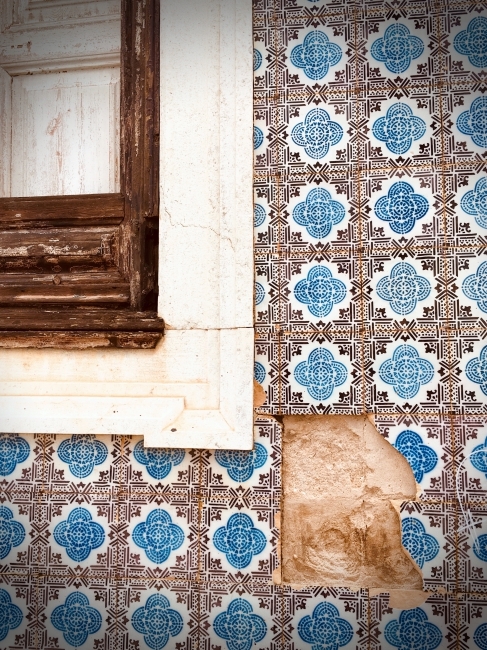 Travel a bit beyond your comfort zone, both literally and figuratively – in terms of both geography and style. 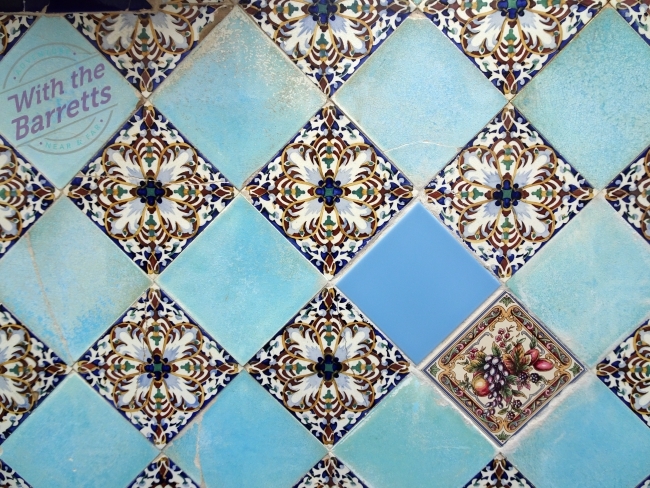 and tiles. 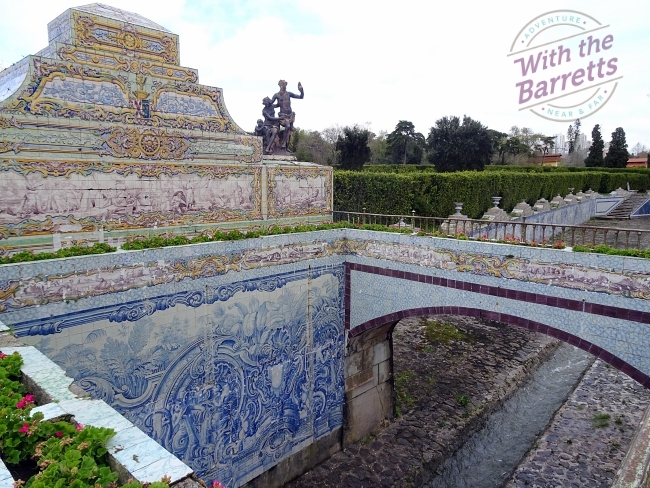 i love Europe and have never been to Portugal and seeing it thru your eyes, now I have! Please put me on you “share with” list. Thanks, so much, for the feedback! We really appreciate it. You’re on the list now, as requested. 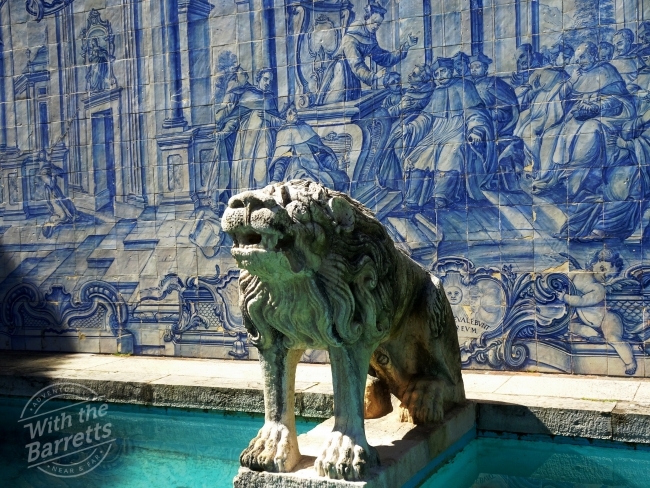 There will be more Portugal posts (probably many more); it’s a lovely country. 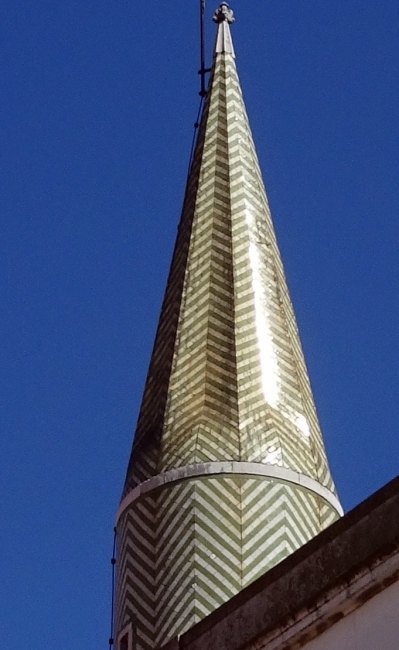 Please forward our blog to others – we really do love company. Yes, keep me up to date on the adventures!